It has been constantly one thing after another since my last post. 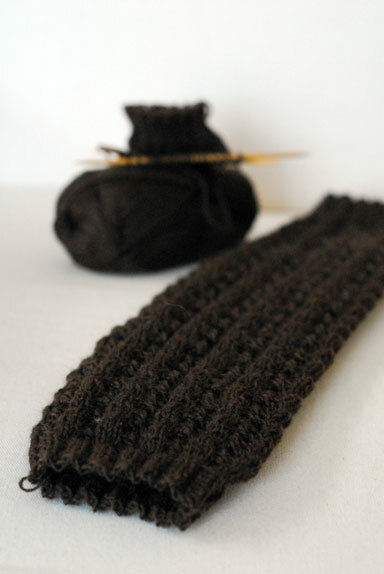 There has been knitting interspersed but not an awful lot, unfortunately. So shortly after my last post, I got to play for National Music Day. Directly after that, the violin duo I played in won the Elsner cup for Duo playing at Dublin Feis. Between that and Easter, I spent trying to recover a concert I had spent the last six months organising in Viarmes, France. My violinist decided to… not do the concert… with less than two weeks’ notice. I have a flautist friend who wanted to go instead, so all was not lost, apart from my Easter holidays which I spent learning an entirely new programme! We travelled to France over the May bank holiday weekend. My point of contact was the lady who heads up the town twinning committee for Viarmes with Tubbercurry (which is where I’m from). She was nothing less than utterly amazing in her organisation so I knit her this shawl in the delicious Blue Sky Alpaca Alpaca Silk. 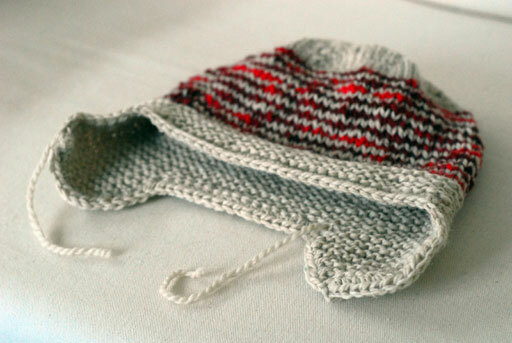 It was a much easier knit than I expected it to be. I used three skeins of the Alpaca Silk and although it was already far too warm there for her to wear it, she loved it. I’m saving them all for the Tour de Fleece! 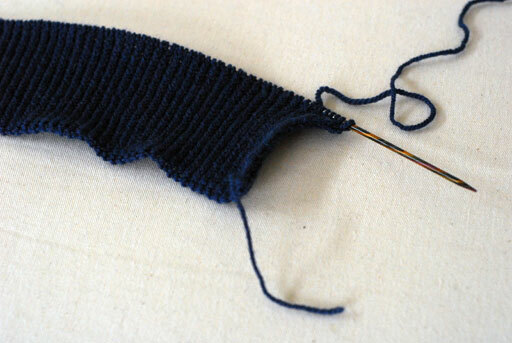 Like I said, there has been sporadic knitting. Although I am finished with college, I still have more exams to play for in NUIM and to compound my stress levels, I agreed to be rehearsal pianist for La Traviata for the next two weeks. I just wanted to start things that I knew I liked. Like another Heather Hoodie. And another Audrey in Unst. Happy new year! Am I a bit late? I ended up taking an unplanned and extended break over the holidays. My dad had a health scare the week before Christmas so things were a bit mental between the horrible weather (snow! how I hate the word! ), making sure he was ok and making sure everything else was ok. Not to worry – thankfully all is well now. There has been much knitting. 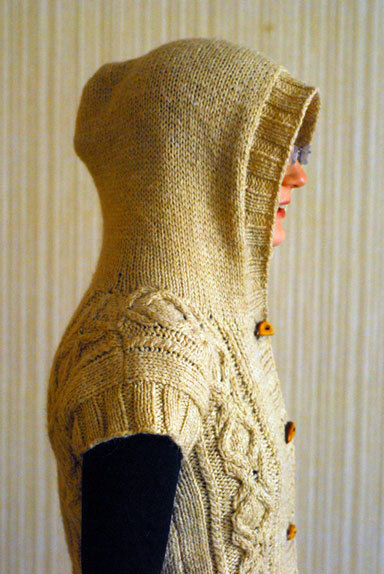 My heather hoodie blocked out wonderfully well and I wore it incessantly through Christmas week. Modelled shots at the weekend! Speaking of incessant wearing, these never came off either. 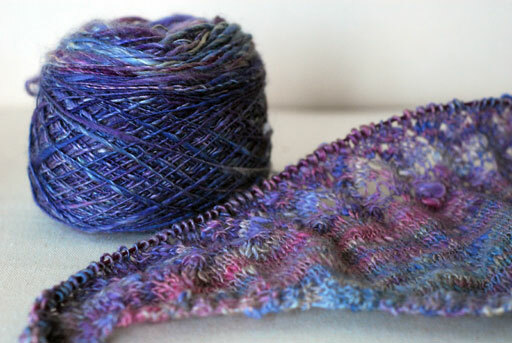 My last FO of 2010 ended up being Folded. I wore it on Christmas Day. I promise I will get modelled shots of this soon because it is far, far too pretty to keep under wraps. 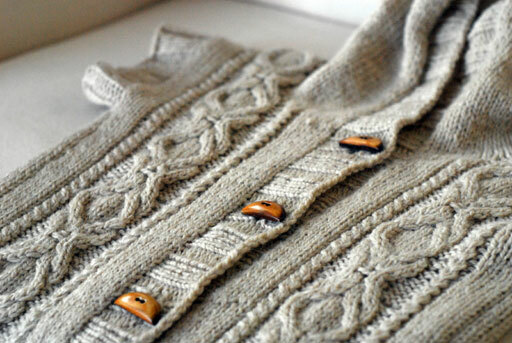 It is possibly the nicest sweater I’ve knit since this. I put off finishing it ad infinitum because I was worried I wouldn’t have enough yarn. 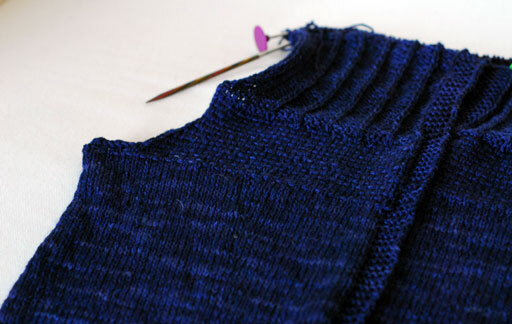 In the end, I decided to knit exactly to the sleeve length specified in the pattern – I always make sleeves longer because of my orangutan arms – and whaddya know? I had a little yarn to spare. I made some modifications to the body which I will write about in greater detail when I post better photos. 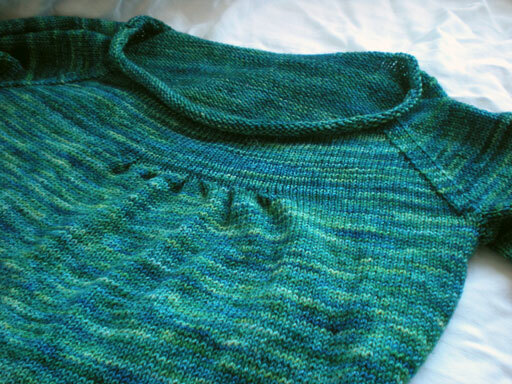 First FO of 2011 was Pole (sorry, only a Ravelry link is available for this). I usually have some sort of mental knitting queue that gets jiggled around constantly depending on what I come across on Ravelry or my needs. 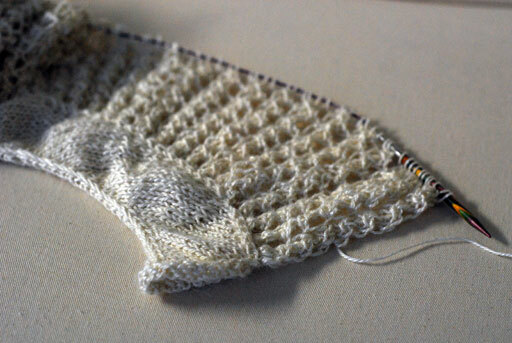 Occasionally, I find a pattern that usurps all of it and demands to be knit immediately. Faster than immediately! Faster than instant coffee! Is-it-a-bird-is-it-a-plane! 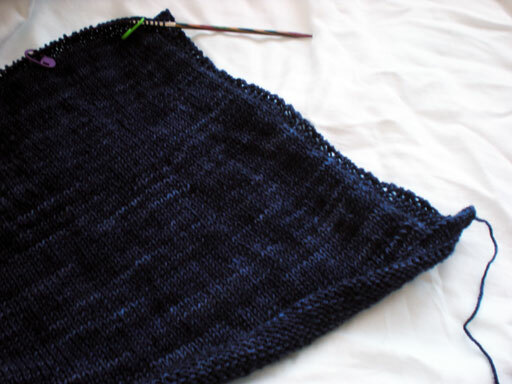 I was smitten by the idea of a Malabrigo blanket. And the sleeves! 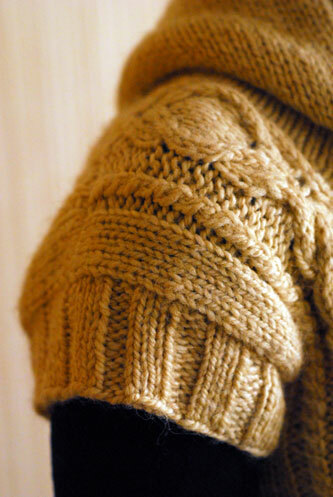 Oh, the sleeves. 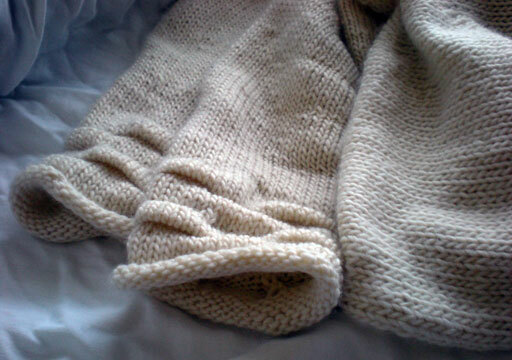 I knit this in ten days flat, finishing it on New Year’s day and I haven’t taken it off since. More details to come when I get it blocked out. This was my ninth year travelling home for Christmas so I was sensible this time. Sort of. I brought one work in progress to finish off and two new projects. You’ve seen what I’ve finished off and the first of my new projects. You can do the maths… I’m running low on my last project. The beloved Austin Hoodie. 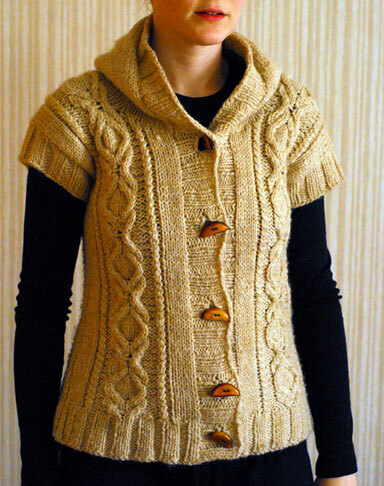 I spent much of 2010 stalking this pattern. 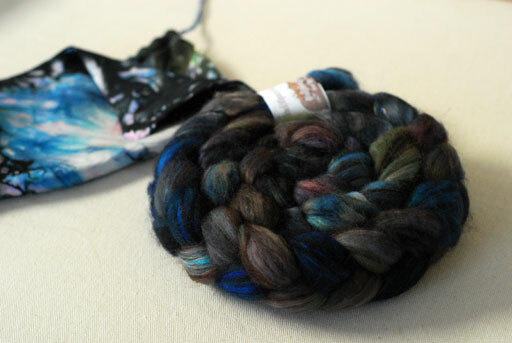 I even bought yarn that I thought would do the job for it but it never quite got me hooked. 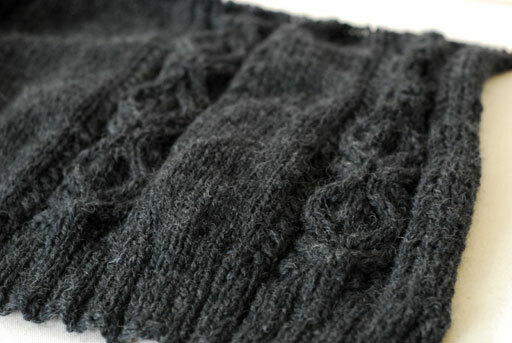 And then, one fateful day, I was standing in This is Knit when I spied the most perfect colour in Malabrigo sock: ink. 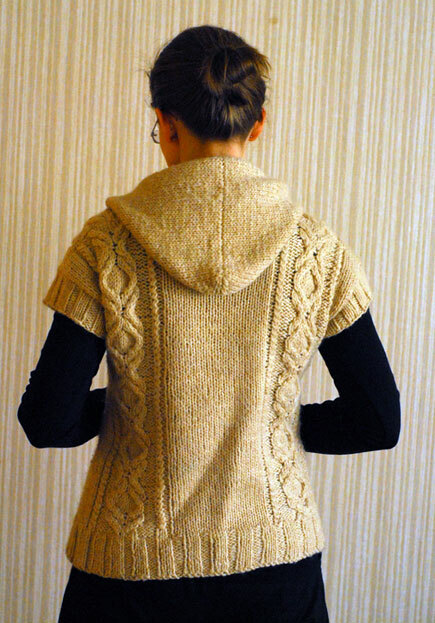 This pattern has you knit the body at a loose-ish gauge and then a bit tighter for the yoke. This combination of floppy knitting and the yarn means that I am running dangerously low on yarn. 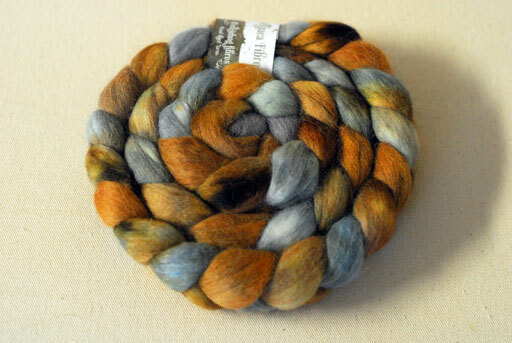 I only brought one skein (I don’t know why, ok!). I might be able to get through the next 24 hours. We drive back to Dublin tomorrow morning… but we might be playing a bit more I Spy than Alb is prepared for.